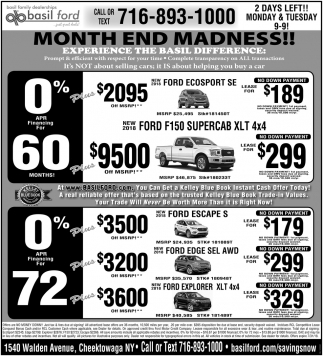 2018 Model Year End Madness! 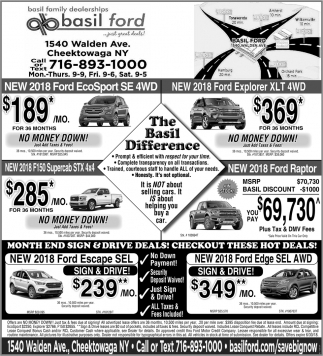 Just Add Taxes, That's It. 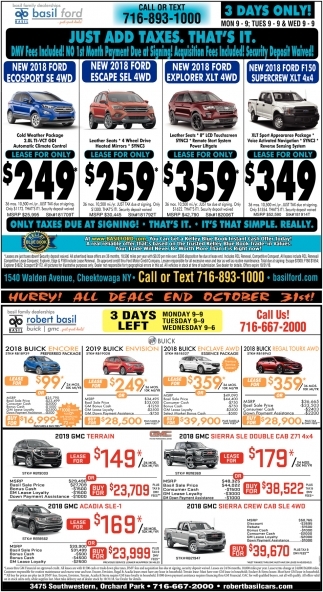 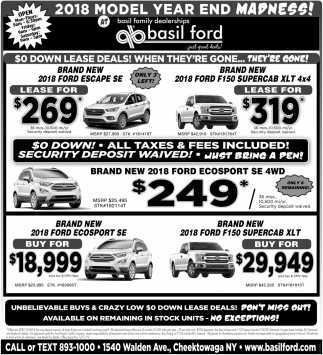 No Down Payment Lease Deals! 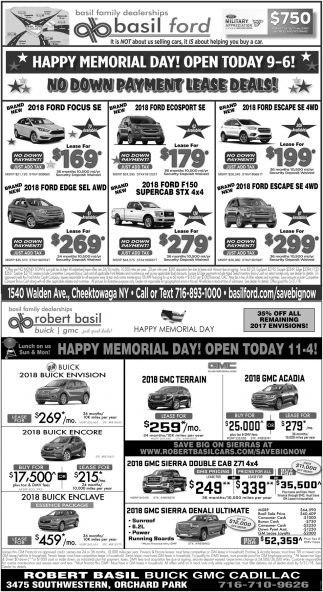 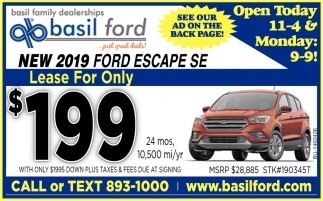 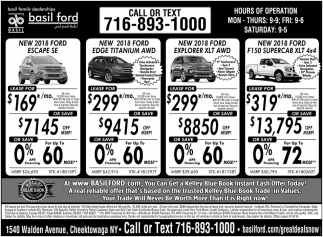 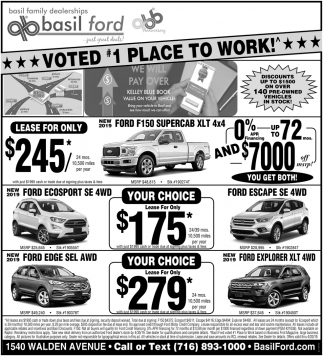 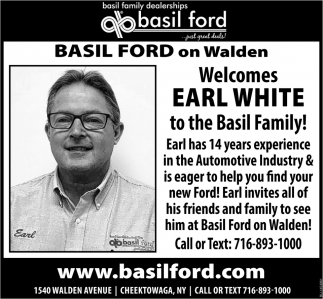 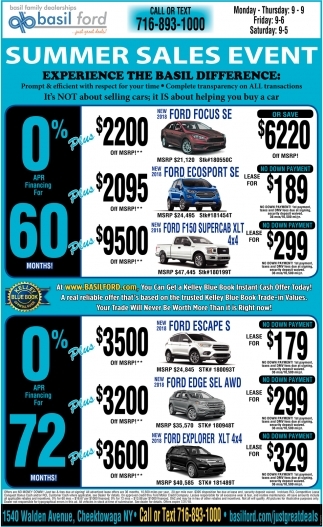 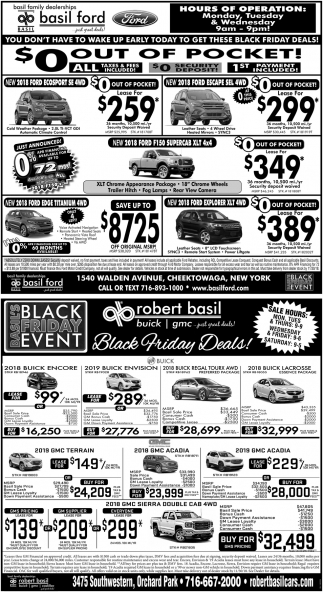 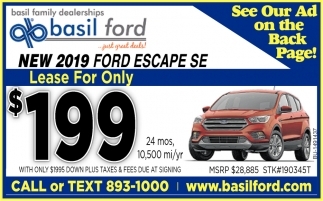 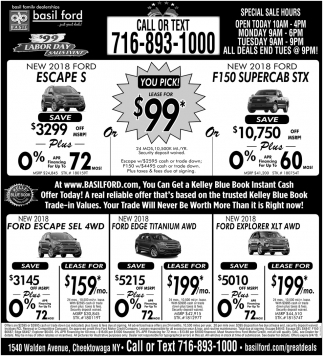 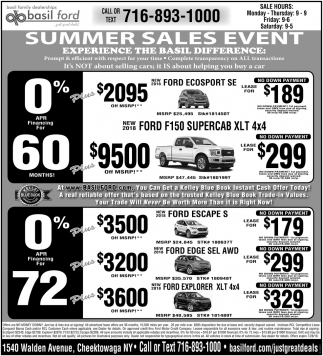 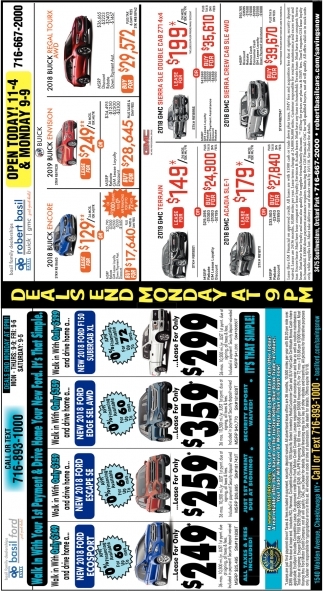 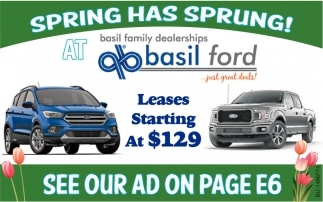 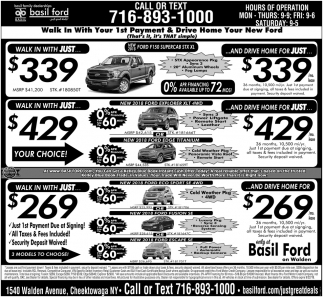 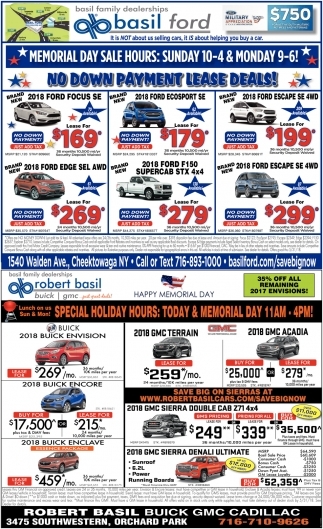 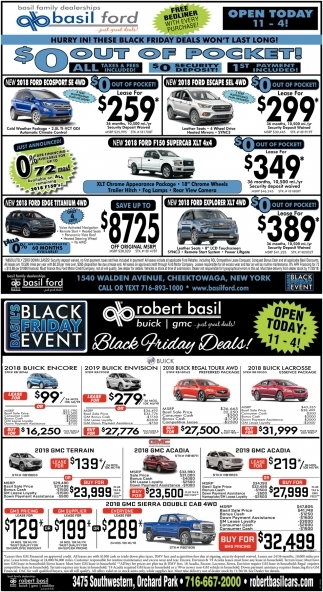 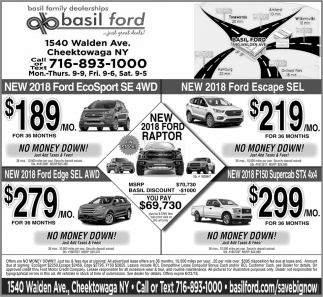 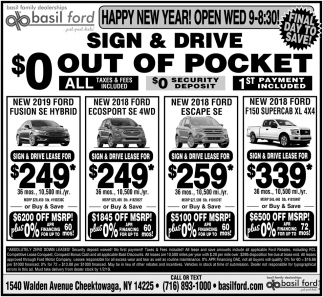 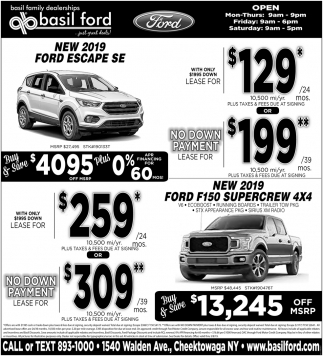 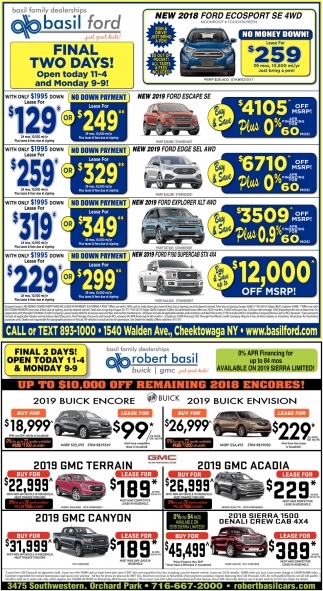 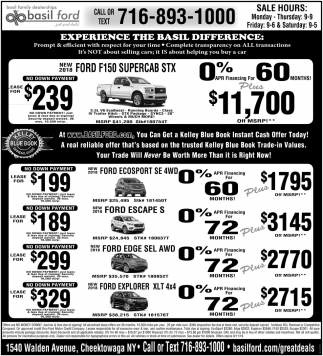 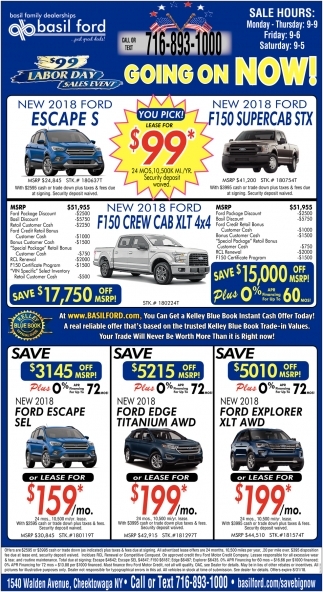 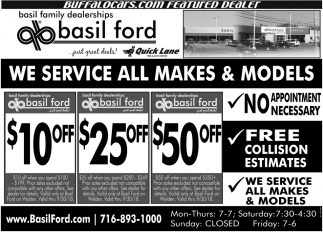 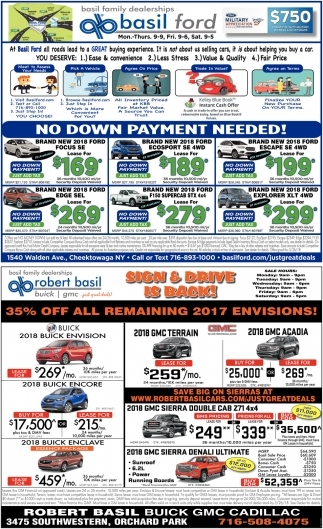 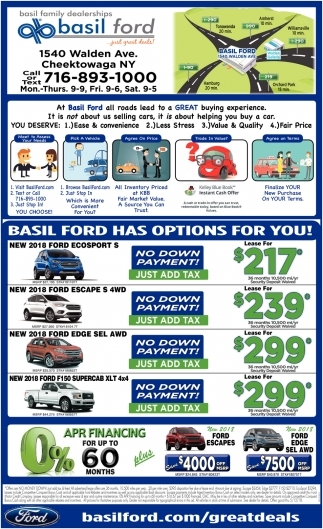 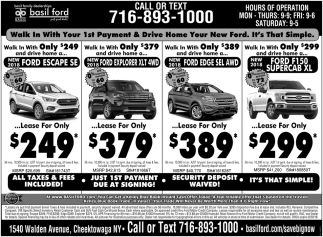 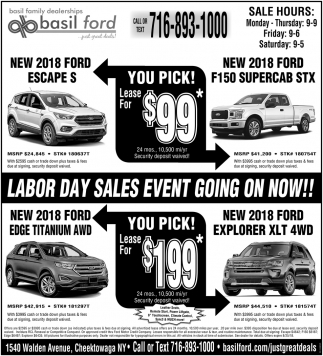 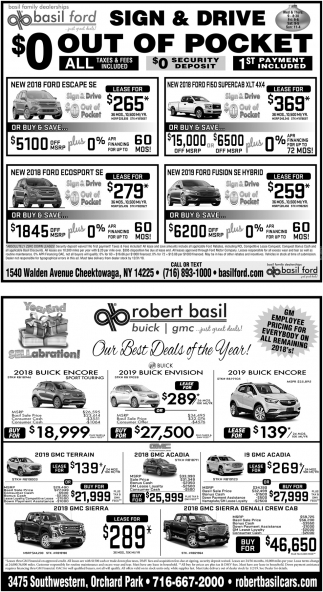 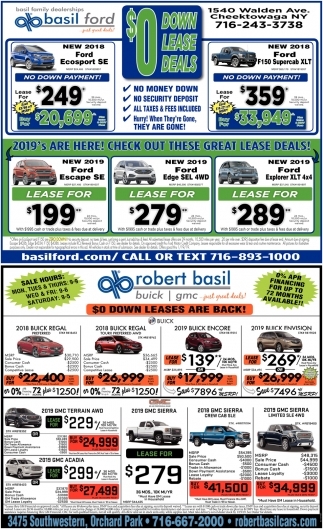 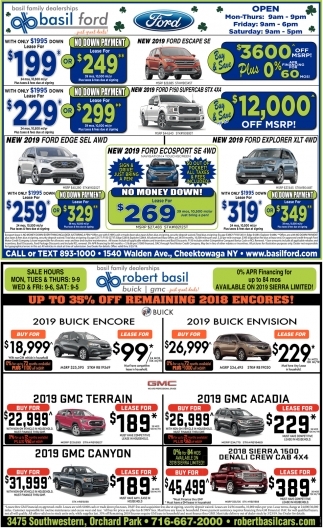 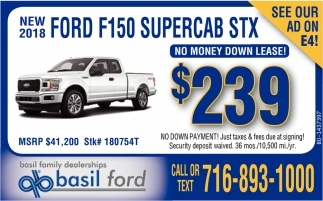 Basil Ford Has Options For You! 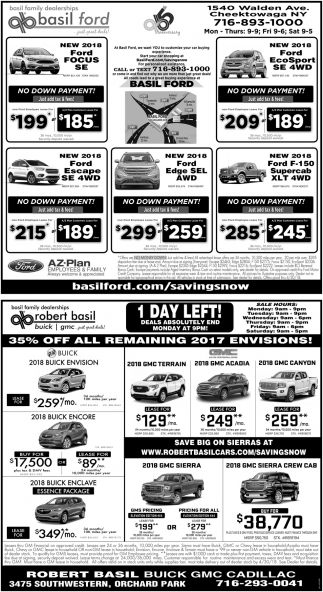 35% Off All Remaining 2017 Envisions!